Keeping up with the growing demands of your end users is difficult, but not having the infrastructure to support them is showstopping. As an IT manager, you understand the difficulty of overhauling your network and making the right decision can be tough. 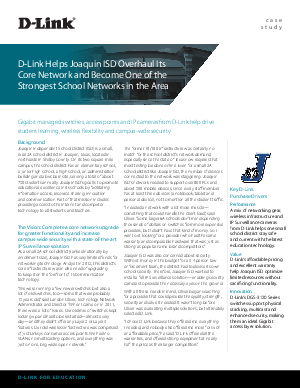 Learn how Joaquin School District evaluated their options and chose a vendor that performed with the added benefit of being reliable and trustworthy.